Are we alone in the Universe? Whether there is life on other worlds is a fundamental issue in astronomy and biology, and an important question for humankind. When you mention extra-terrestrial life, most people think of little green men and alien invasions, but the science of looking for life on other worlds is gathering real momentum, such as through discoveries of complex organic molecules in comets, nebula and interstellar space, which form some of the building blocks for life as we know it. The range of complexity in these organic molecules is vast, and it’s leading scientists to speculate more and more that life could be common in planets within the habitable zones around stars. The SKA will be able to detect extremely weak extraterrestrial radio signals if they were to exist, greatly expanding on the capabilities of projects like SETI. Astrobiologists will use the SKA to search for amino acids, the building blocks of life, by identifying their spectral signatures at specific frequencies. The dusty discs that form around young stars are the sites where planets are made. The birth of a planet is thought to take a million years or more – much longer than a human lifetime – and it isn’t possible to watch an individual planet appear. Instead, the discs around many young stars must be observed in order to piece together the different parts of the formation process. Fortunately there are hundreds of these young stars within about 500 light years of the Sun, and many thousands more at greater distances. If placed at 500 light years distance, our own Solar System would be about 1 arcsecond across – roughly equivalent to a thumb-tack seen from a mile away – so observations at high angular resolution are very important. At radio wavelengths, such resolution is achieved by combining the signals from widely separated antennas. In the SKA, the antennas will be thousand of kilometres apart, enabling us to probe the “habitable zone” of Sun-like protostars, the region where Earth-like planets or the moons of gas giants are most likely to have environments favourable for the development of life. Recent discoveries have shown that gas giant planets (similar to Jupiter) are common around other stars like the Sun. Though there is no conclusive evidence yet for potentially habitable, small, rocky planets like Earth, careful observations with more sensitive telescopes have detected a number of candidate terrestrial-like planets, larger than Earth. Many scientists believe these habitable worlds, in the so-called “Goldilocks zone” where conditions are just right for life, must exist, and it’s only a matter of time before they are detected, either by inferred observations or potentially directly. Remote sensing of young stars shows they are surrounded by dusty discs which contain the materials needed to form Earth-like planets. By observing the process of planet building, the SKA will tell us how Earth-like planets are formed. Although planets forming in the habitable zone of Sun-like protostars are currently far too small to be detected directly, the dust from which they form has a lot of surface area that intercepts starlight and converts the energy into heat which can be detected at short radio wavelengths. 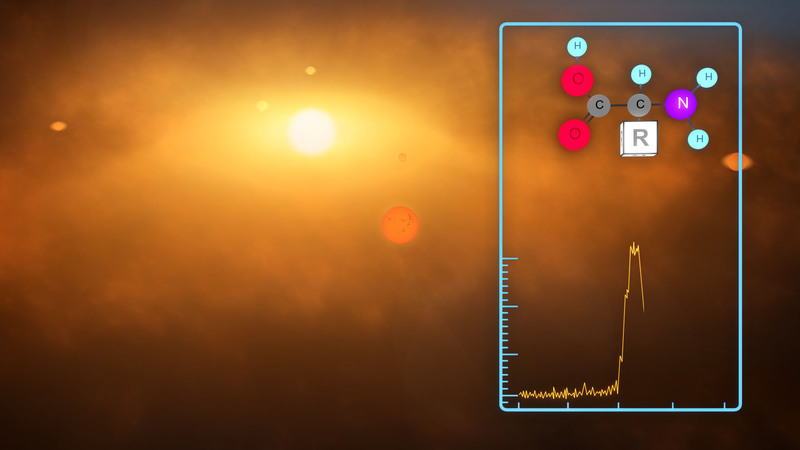 The SKA will image the thermal emission from dust in the habitable zone in unprecedented detail. In particular, the SKA will show where dust evolves from micron-sized interstellar particles to centimetre-sized and larger “pebbles”, the first step in assembling Earth-like planets. What accounts for the diversity in planetary systems? Are terrestrial planets common in the habitable zone? Do gas giant planets form in the inner disk or do they migrate there? What are the implications for Earth-like planets? The SKA will image features in discs related to planet formation. The presence of giant protoplanets can open up nearly empty gaps in the disc material, revealing their presence, and they may also drive large-scale spiral waves through the disc. Because orbital times in the inner disc are short, just a few years, observations made over time can track the evolution of these features. Giant planets may form by the slow growth of dust grains into large rocks that capture gas, or by rapid gravitational instabilities that disrupt the surrounding disc. The SKA will discern which mechanisms are active, and where in the disc they occur, which will reveal the impact of newborn giant planets on their Earth-like counterparts. When viewed from afar, the signatures of forming planets imprinted on circumstellar dust may be the most conspicuous evidence of their presence. Artist’s impression of the detection of complex molecules in a protoplanetary disc. The gaps in the dust clouds are much easier to detect than the planets themselves because of their much larger surface area. It’s akin to seeing the wake of a boat from an airplane when the boat itself is too small to be visible. The SKA may be the only instrument capable of imaging the inner regions of discs where Earth-like planets form. operating on planets around the closest stars to the Sun out to dozens of light years. The SKA will be able to search for these “leakage” signals from other civilisations for the first time. The SKA’s sensitivity will allow it to expand the volume of the Galaxy that can be searched for intentional beacons by a factor of 1000, using a wider range of frequencies than attempted before. The detection of such extraterrestrial signals would forever change the perception of humanity in the Universe. The search is on, and the SKA will be at the forefront of one of human kinds greatest quests. More than a thousand exoplanets are now known to exist, with more and more being discovered every day. Direct optical imaging of exoplanets was first achieved in the early 21st Century. Cradle of Life T. J. W. Lazio, J.C. Tarter, D.J. Wilner – in Science with the Square Kilometre Array, 2004.